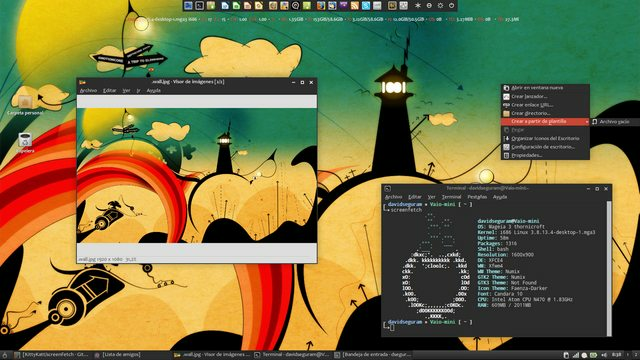 Some very nice screens here - a tribute to Xfce's configurability and member creativity. I'm new to Xfce. Running Xubuntu 13.10 out of the box and tweaked it a bit to resemble my old Gnome 2 desktop. Update: Forgot to say. 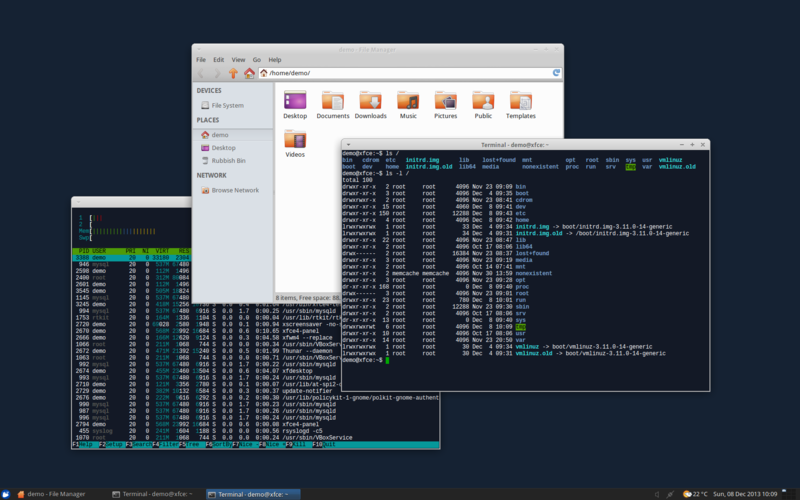 Absolutely loving Xfce!! Since the dreadful Gnome 3 release and the disaster that is Unity I have been stuck with an Ubuntu 11.04 desktop as a work station. 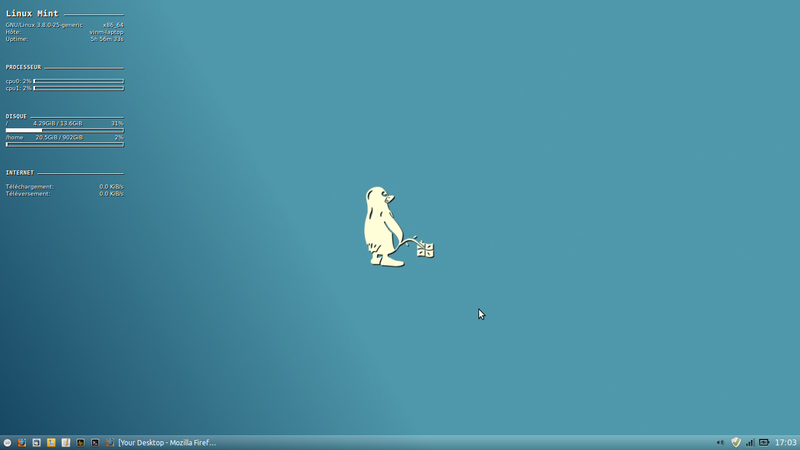 I tried Xfce before but I never fancied it much but since the 4 release I assume a lot of improvements have been made. Xubuntu is currently my go to desktop environment "to get stuff done!". Big thanks to the entire Xfce team!!! 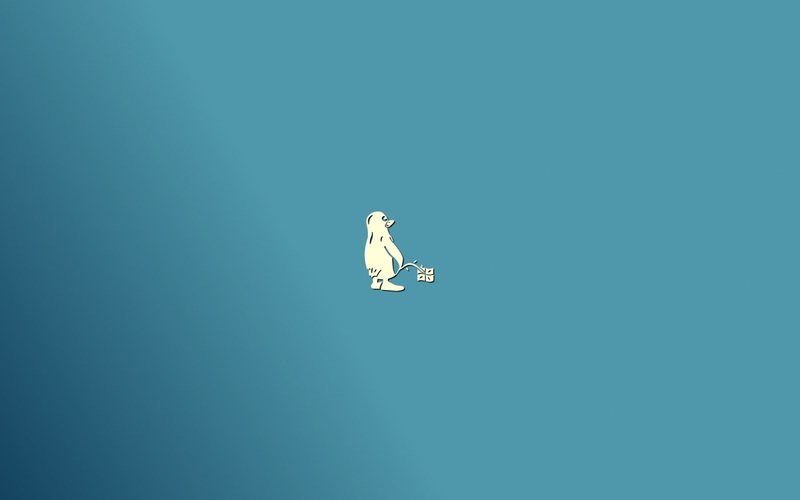 I love XFCE. Great work and big thanks to the devs. How did you make the panel look this way? If you're talking about the screen shots from WinRiddance, I went ahead and made my own color coded symbols that are 64 x 64 px in size. Transparent backgrounds of course. I made five of each color so I wouldn't have to use duplicates for different apps. Then I added them to the XFCE panel with 100% background transparency. Or maybe I used black (000000), not sure right now since I change my desktop about every month. Bottom line is that only XFCE panels can be made to be completely transparent, even with the panel ends and separators in place. 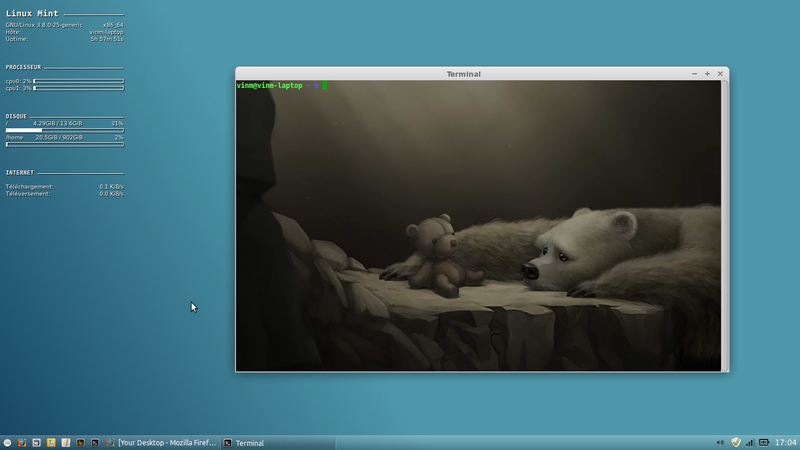 None of the other panels that I've tried (Gnome2, Gnome3, Mint, Unity, KDE, can be customized this well. Being able to make my desktop look exactly how I like without having to use the terminal was one of the main reasons why I got into Linux. Sadly Ubuntu, KDE, and a few others seem to have gone more in the direction of forcing users to adopt a certain look at least partially.